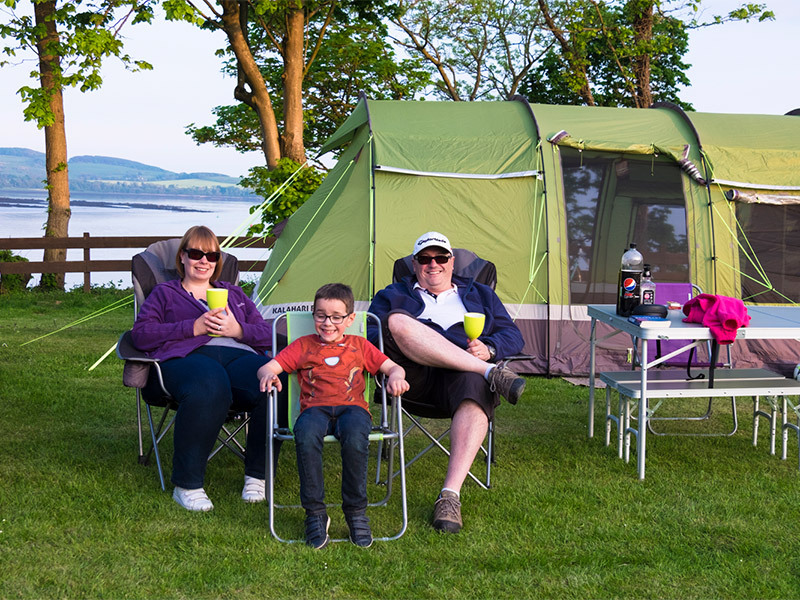 Our pet friendly park has excellent touring and camping facilities. 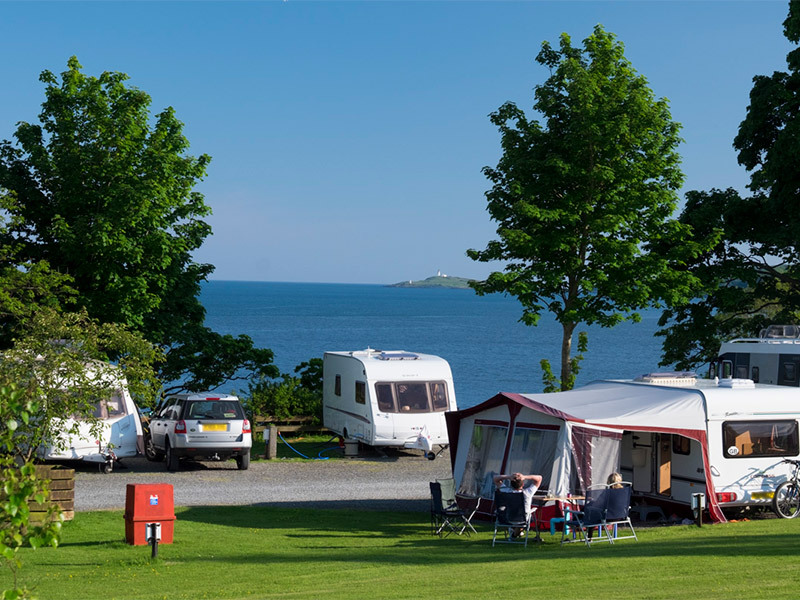 We have a selection of electric and fully serviced hard standing pitches available for tourers and for our campers we have grass pitches. Our elevated heated toilet block overlooks the park and across the Bay. 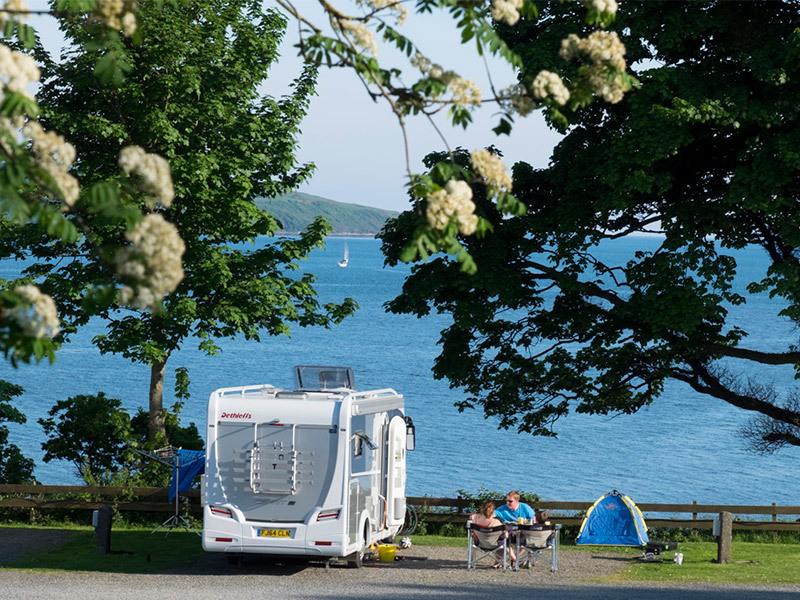 It is regularly cleaned and has hot showers, laundry room and an undercover area for washing up your pots and pans. In our small on-site shop you can purchase gas bottles of varying sizes, as well as the basic essentials. 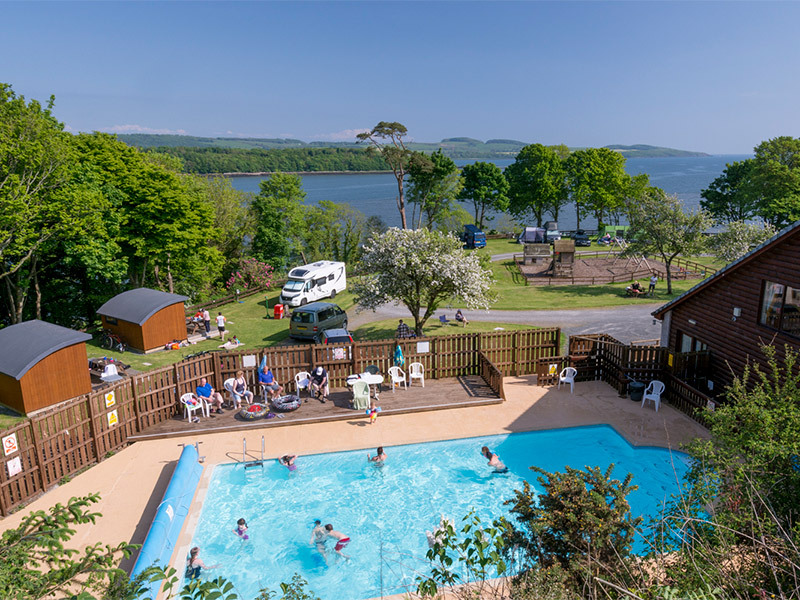 For the children there is an outdoor children’s play area, heated outdoor swimming pool and a games room to enjoy. Wi-Fi is available on the park; speak to someone at the park’s reception for further information.